The Xiaomi Mi A2 is certainly a great smartphone. 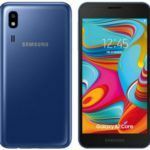 However, the Samsung Galaxy J8 can be a tough contender in the affordable Android smartphone category. After teasing the Mi A2 smartphone for months, Xiaomi is finally launching the smartphone in India. The successor to Xiaomi’s successful Mi A1 Android One smartphone is eagerly awaited. The smartphone packs several appealing features and capable hardware. However, the Samsung Galaxy J8 is an equally impressive device. 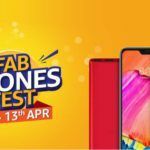 Does the Xiaomi Mi A2 beat the Samsung Galaxy J8? 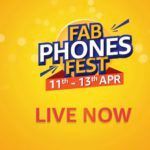 The Samsung Galaxy J8 carries an official MRP of Rs. 18,990. The Xiaomi Mi A2 is expected to be priced very similar to the Samsung smartphone. In other words, both the smartphones feature in the lower end of the mid-range Android smartphone category. Hence it could be a little difficult to choose between the two. 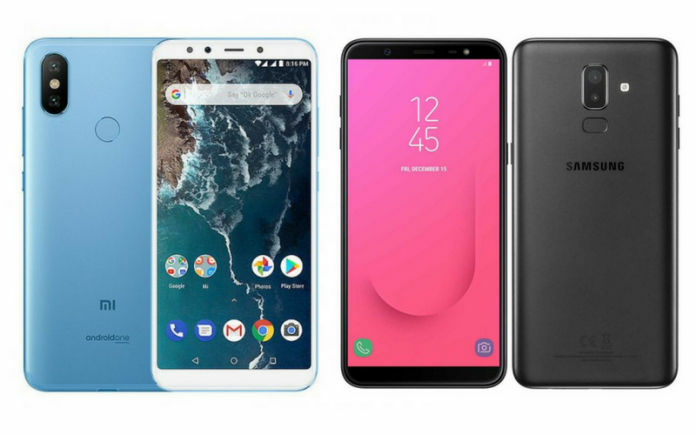 Let’s compare the two devices and see if the currently available Galaxy J8 is a tough competitor for the Xiaomi Mi A2 Android One smartphone. The Samsung Galaxy J8 is available in 4GB RAM + 64GB internal memory variant. The smartphone’s asking price is Rs. 18,990. But there are quite a few offers of cash-back, exchange and discounts, which bring the effective sale price of the Galaxy J8 to around Rs. 16,000 or even lower. 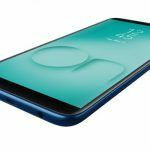 The Xiaomi Mi A2, on the other hand, will soon be available in several variants with 3GB/4GB/6GB of RAM and 32GB/64GB/128GB storage options. The 4GB RAM+ 32GB storage variant is priced at EUR 249 (approx. Rs. 20,100), 4GB RAM+64GB storage variant at EUR 279 (approx. Rs. 22,500), and the 6GB RAM/128GB variant at EUR 349 (approx. Rs. 28,100). Incidentally, we expect Xiaomi to launch the device with lower price tags in India. Speaking about the screen there are some subtle but noticeable differences between the Xiaomi Mi A2 and Samsung Galaxy J8. The Mi A2 packs a 5.99-inch LCD panel with Full HD+ resolution and a 18:9 aspect ratio. Meanwhile, the Galaxy J8 flaunts a slightly larger 6-inch Super AMOLED Infinity Display with HD+ resolution and 18.5:9 aspect ratio. Although the Samsung Galaxy J8 packs the superior Super AMOLED display, the screen offers only 720 x 1280 resolution. Needless to mention, the resolution is quite inferior to the Mi A2 display which offers 1080 x 2160 resolution. The difference in resolution translates to a substantial gap in the pixel density. 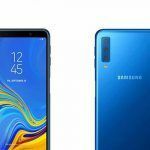 The Samsung J8’s 274 PPI display simply falls short of Mi A2’s 403 PPI pixel density. The difference between the two should be clearly visible in real life. One of the most prominent differences between the Xiaomi Mi A2 and the Samsung Galaxy J8 is the processor and GPU combo. The Galaxy J8 packs an octa-core Snapdragon 450 SoC clocked at 1.8 GHz paired with Adreno 506 GPU. The Mi A2, on the other hand, has octa-core Snapdragon 660 SoC clocked at 2.2 GHz paired with Adreno 512 GPU. Needless to point out, the Xiaomi Mi A2 packs much better chipset. Besides processing, the difference should be visible in multi-tasking and battery endurance as well. Both the smartphones have dual rear camera setup. However, the size of the sensors is quite different. The Xiaomi Mi A2 packs 12 MP + 20 MP Dual Camera sensors on the back, while the Galaxy J8 has 16 MP + 5 MP sensors. Needless to say, the Mi A2 has better sensors than the Galaxy J8. The camera sensors can take in a lot more data, and offer photos with better clarity. Interestingly, the Mi A2 betters the Galaxy J8 even in the front camera department. While the Galaxy J8 has a 16MP sensor, the Mi A2 packs a large 20MP sensor on the front. The differences even spill onto video recording, where the Mi A2 can shoot 4K videos at 30 FOS, while the Galaxy J8 restricts videos to only 1080p resolution. 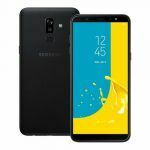 The Samsung Galaxy J8 is certainly an interesting alternative to Xiaomi Mi A2. The smartphone does offer a 3.5mm headphone jack as well as a dedicated micro-SD card slot to expand the storage capacity. Both of these features are absent in the Mi A2. Both the devices run on Android Oreo, but the Galaxy J8 has additional features thanks to the custom Samsung Experience skin as well as Samsung virtual assistant Bixby.